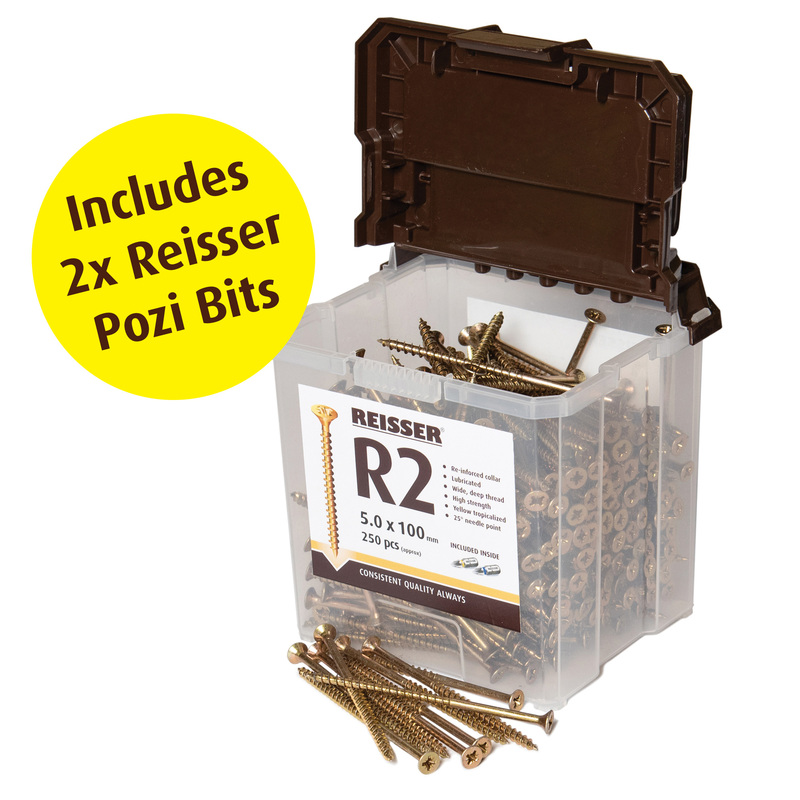 R2 WOODSCREWS have been trusted for over 30 years to give consistent performance in all timbers and board materials. 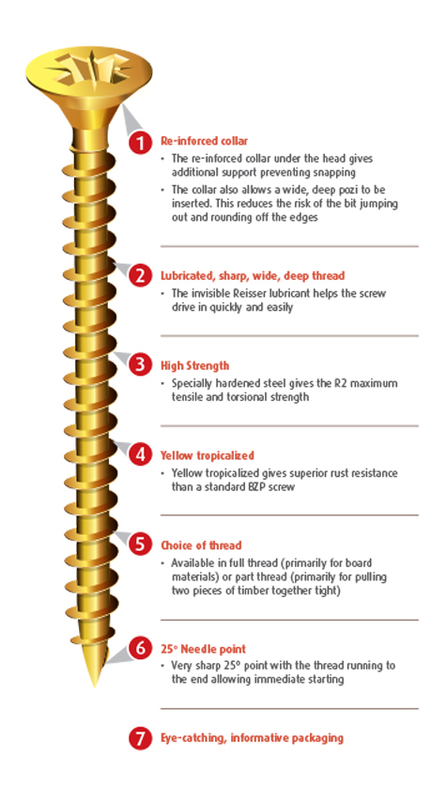 The 25º needle point gives the ability to penetrate almost all timbers without a pilot hole and the sharp, wide deep thread with unique lubrication gives up to 40% less driving resistance and easy penetration. Specially hardened steel gives the R2 maximum tensile and torsional strength and the tried and tested R2 thread pattern offers exceptionally high pull out resistance. The Yellow Tropicalized coating gives superior corrosion resistance (compared to a standard BZP coating) and the deep reinforced pozi drive countersunk head recess allows the best possible fit to the driver bit, reducing “cam out” and providing extra strength at the critical junction between shank and head. Fully accredited the R2 is available if a huge range of sizes, in full and part thread and in many volume options Presented in attractive, informative packaging the R2 WOODSCREW sets the standard for the Consistency of Quality and performance of all products.